Our team will provide you with the most efficient and professional service possible at a fair and competitive price. We believe in transparency and we work to a flat fee structure as outlined below. £550 extra per dependant applied for at the same time as main applicant – outside the UK. ** Plus travel costs @ 75pence per mile/public transport/taxis at cost. Home Office handling charges wef 6th April 2018 – inside the UK – for Tier 2 (currently £704), Sponsors Licence applications (£536 for small sponsors, £1,476 for large sponsors), Certificates of Sponsorship (£199), LTR (currently £1,033), ILR (currently £2,389), British Citizenship (£1,330) and Premium Service Centre applications (an additional £610 for each applicant and dependant) are non refundable. Home Office charges differ for overseas applications and are payable in local currency. For those paid by UK Visas on clients’ behalf an additional charge is payable to cover currency exchange and bank charges. Our fees are in addition to Home Office consideration charges Our fees do not include any UK NARIC, translation or advertising expenses we may be instructed to perform, over and above those covered by our Resident Test fee, which includes a four week campaign on Monster.co.uk. We are registered for VAT and charge this at the rate applicable at the date of the VAT invoice. The premium same-day service charge includes the cost of returning clients’ documents by Special Delivery by 1.00 p.m. the following day (or Monday if posted on a Friday). 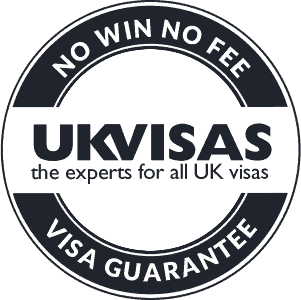 Please call +44 (0) 1403 801801 if you wish to instruct us in an application or simply wish to discuss any aspect of UK visas further.